Tomorrow is International Women’s Day, and the month of March is Women’s History Month, according to Congress, and my genealogy blogger Janice Webster Brown of Cow Hampshire blog has encouraged her fellow genealogy bloggers to tell the story of at least one woman this month in honor of that occasion. Although the theme this year for the national Women’s History Month is women who were active in government or public service, I’ve decided to highlight a woman whose life was more typical of her times, a woman who did not necessarily do anything historic or that would be remembered by anyone other than the members of her own family, but a woman who nevertheless is worth remembering and honoring more broadly. This post is for all those women who lived lives that did not make headlines but who made their mark in quiet, unheralded ways that made a difference for their families and thus for all of us who followed. 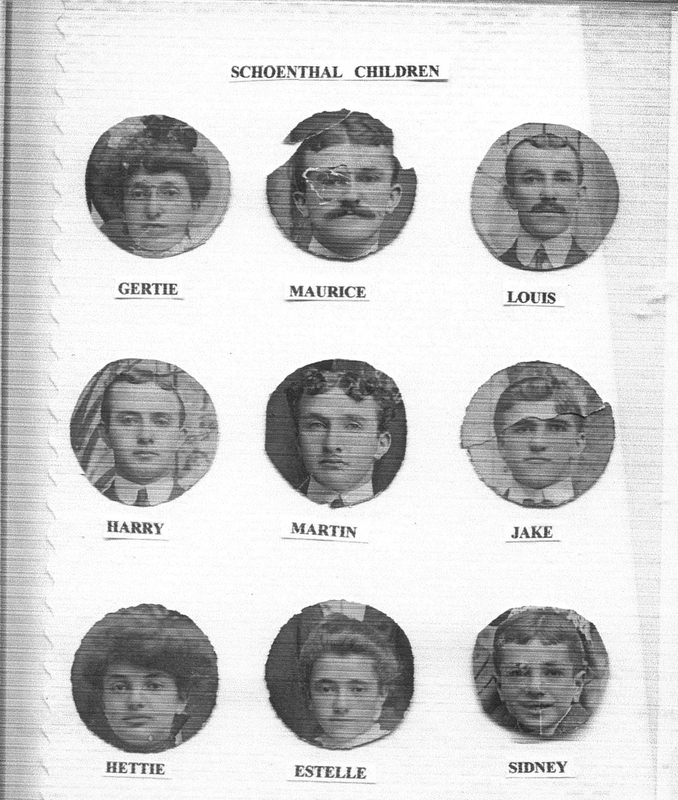 It may not surprise those of you who have been reading my recent posts to know that I have chosen Rose Mansbach Schoenthal, the wife of Simon Schoenthal, my great-great-uncle. Like most of the women I’ve researched, Rose did not leave behind much in terms of actual records or documents. She did not have a career outside her home; she did not serve in the military. There are no news articles reporting on her life. All I really know about her is when she was born, who she married, where she lived, who her children were, and when she died. The rest is all conjecture on my part and interpretation and extrapolation from those facts. Rose was reportedly born in Gudensberg, Germany, on March 12, 1850, according to her family. I have not yet been able to find a birth record for her in that town, however, nor do I have any information about her parents. 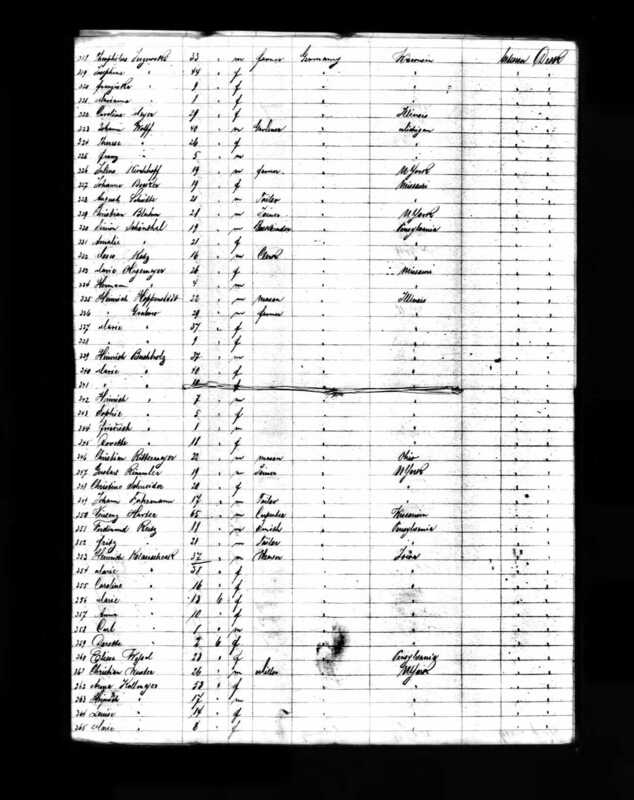 I did, however, find a passenger manifest for a sixteen-year old girl named Rose Mansbach who immigrated to Pennsylvania from Germany and who listed her occupation as a servant. That ship, the D.H. Wagen, arrived in New York on September 23, 1867. Guess who was also on that ship? Rose’s future husband, Simon Schoenthal, then just seventeen. Did they know each other before they boarded, or did they meet on the ship? I don’t know. 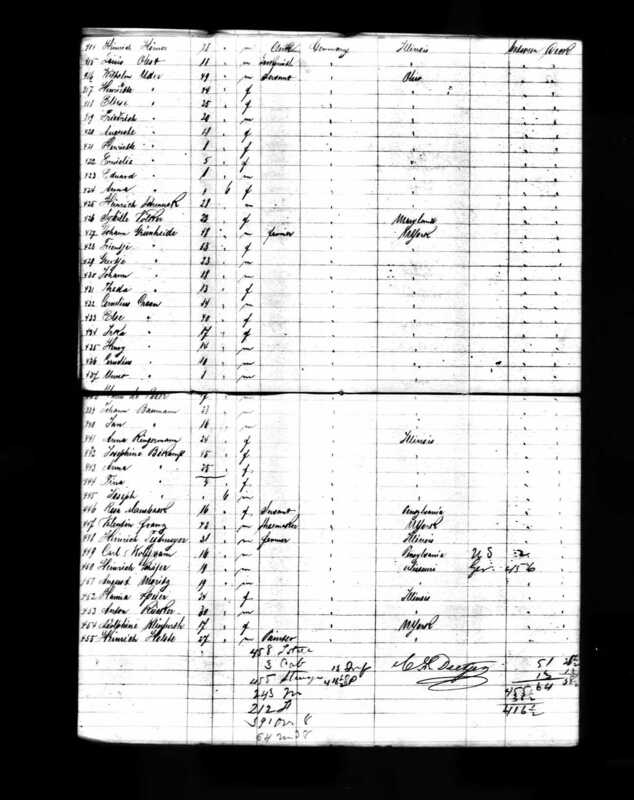 Unfortunately, I can’t find Rose Mansbach on the 1870 census nor can I find a record of her marriage to Simon, but the 1900 census reported that they had married in 1872. That seems correct since their first children, the twins Harry and Ida, were born in 1873. From there Rose went on to have eight more children—eight more pregnancies, eight more labors and deliveries. Her last child, Sidney, was born in 1891, eighteen years after her first. In between Rose had lost her first daughter, the twin Ida, in 1887 when Ida was just thirteen. The family had moved from Pittsburgh to Philadelphia, and then not long after Sidney was born, they moved again to Atlantic City. In 1904, Rose lost her husband Simon. She was only 54 years old, and her children ranged in age at that point from Harry, who was 31, down to Sidney, who was 13. Somehow she and her children pulled together and survived the death of Simon. Soon after Simon’s death, her children began to disperse. 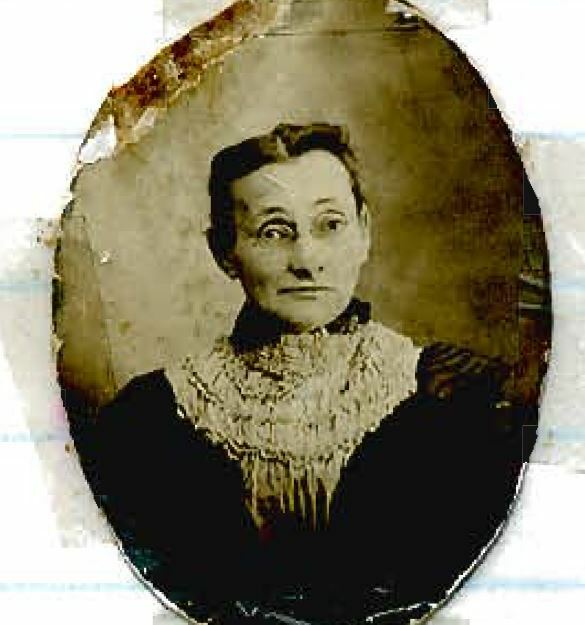 In fact, Rose’s daughter Gertrude had already moved to Tucson, Arizona with her husband Jacob Miller before Simon died. Harry had moved not too far away in Philadelphia. A few years later, Martin and Maurice moved to Chicago, and Louis and then Sidney moved to California. Hettie also left for Arizona, leaving only two of the surviving children, Jacob and Estelle, back in Atlantic City with Rose. Rose had raised children who were as independent and courageous as she must have been when she boarded that ship when she was just sixteen. 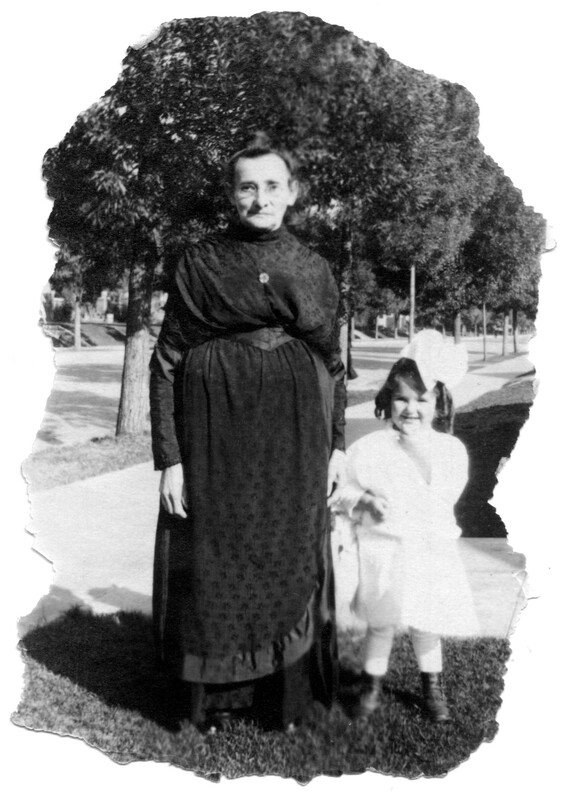 And then Rose herself, already in her 60s, left for Tucson in the mid-1910s along with her daughter Estelle. I can only imagine what Rose must have felt and experienced in the frontier country of Arizona with the coyotes and rattlesnakes that her daughter Hettie described in her memoirs. When I look at this photograph of Rose looking so citified and civilized, it is hard to imagine her in the wild west of those times. By 1920 Rose and Estelle had returned to Atlantic City, and her other two daughters soon followed them back to the East Coast. Harry, Martin, and Jacob also ended up living in Atlantic City. Thus, for the last decade of her life, Rose had all but three of her nine children as well as most of her grandchildren living relatively close by. Rose must have instilled in her children not only a love for their mother but for each other and for family generally. Every time I read this letter, my eyes well up with tears. 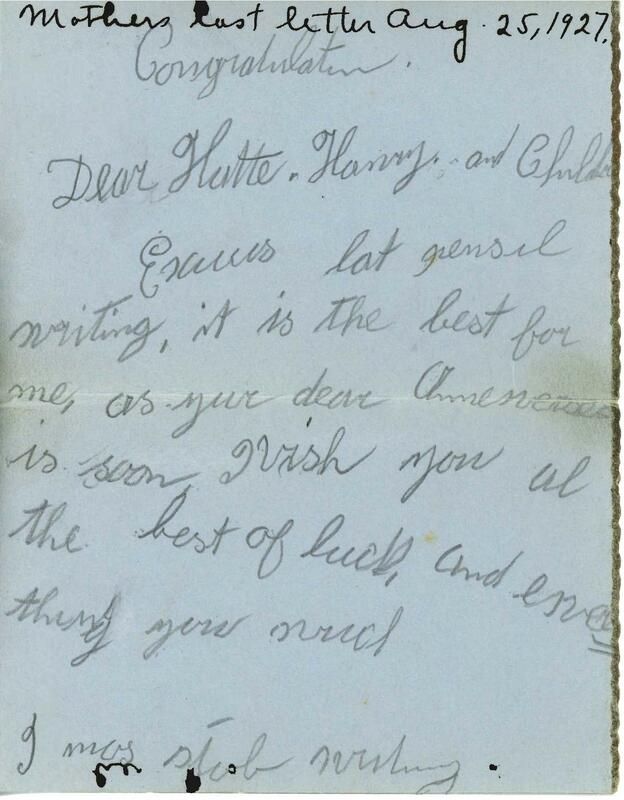 When she wrote this letter, Rose was 77 years old and had been in the US for most of her life, almost sixty years. English, however, was still difficult for her. Yet despite the obstacles she faced writing in English, in these few words she expressed herself so clearly. 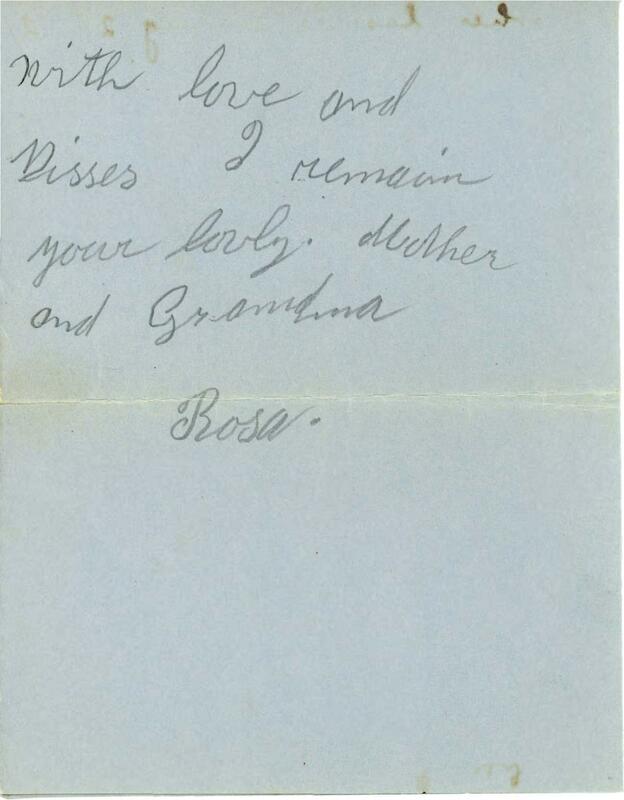 “With love and kisses”—not the stereotype I have of German Jewish grandmothers nor the words I would expect from Rose, having seen photographs of her where she appears rather stern. With these few simple words she expressed so much love and affection for her daughter and son-in-law and grandchildren. 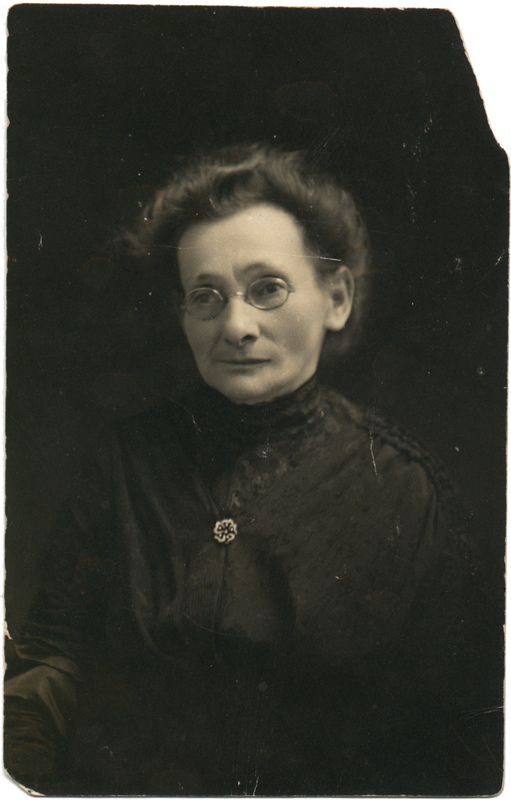 Rose Mansbach Schoenthal died on May 16, 1929. She was 79 years old. Had she done anything notable in her life, anything that would make the history books or even a newspaper? Not really. But think of what she had done. She had ventured across the ocean at age 16 by herself. She had raised ten children, nine to adulthood, all of whom seemed to have stayed close to her and to each other. She had moved from Germany to Pittsburgh to Philadelphia to Atlantic City to Arizona and back to Atlantic City. She had persevered even after her husband died, leaving her with three children who were still teenagers. Rose had created a family, a family she raised and a family she loved. When I think about all that she did do in the quiet, unreported way that most women of those times lived their lives, I know that she deserves to be honored during Women’s History Month even if she never worked outside the home, ran for office, wrote a song or a poem, or carried a weapon in war. 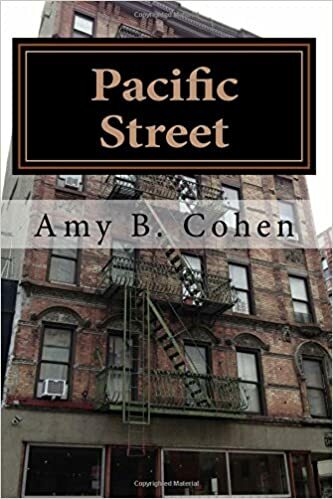 This entry was posted in Arizona, Genealogy, Germany, New Jersey, Pennsylvania, Philadelphia, Pittsburgh, Schoenthal and tagged Arizona, atlantic city, schoenthal, Tucson, women, women's history month by Amy. Bookmark the permalink. Rose was definitely a wonderful woman and deserves to be honored. Can you even imagine getting onto a boat at 16 without really knowing where you were headed or anything about the new life you were embarking on? What courage that must have taken! No, I can’t imagine doing it NOW at my age, which is considerably older than 16. I do wonder what brought Rose to the US as I can find no family for her in PA. I think she must have come for Simon. And then waited 5 years to marry him? A lovely tribute. Her handwritten note is so tender. Thank you for sharing her story. Louisa May Alcott possibly said it best: “Simple, genuine goodness is the best capital to found the business of this life upon. It lasts when fame and money fail, and is the only riches we can take out of this world with us.” Rose Mansbach Schoenthal, despite lack of records about her, seems to have that goodness. It was that rich inheritance that she passed along to her descendants. A wonderful story. Thank you for celebrating National Women’s History month in this way. I didn’t know that quote, but I love it. And Alcott was one of my favorite authors as a child. I really need to go back and read her books. I read all the Little Women and Little Men books and was so sad when I was done. Jo was my favorite (of course), and I just wish Amy wasn’t named Amy! What beautiful icing you put on the Schoenthal cake. Thank your for prodding our branch of the family to looking again at the treasures we’ve had, both artifacts and memories. I might never have found the note in the crumbling prayer book if you hadn’t asked for scans. As with earlier posts, you’ve shown yourself to be an alchemist of sorts, weaving compelling story from a few scattered facts. Through your deft mind and fingers, past generations live on. Thanks so much, Sharon. It means so much to me that you like what I have written about those you and your husband hold so near and dear. You have honoured Rose and her family by telling her story, humble as it is. She treasured her family unit. Yes, and that is itself worth remembering. Thanks, Shirley. Lovely. 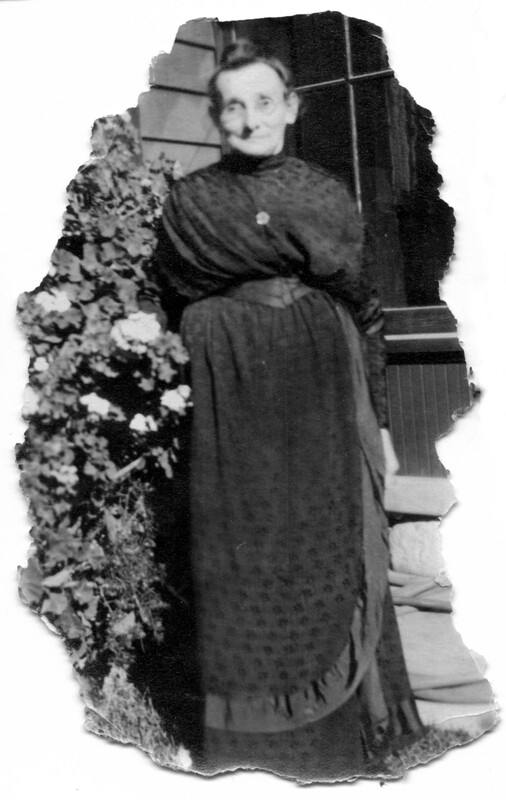 I am inspired to write about one of my women ancestors. Thank you. Beautifully written Amy. Your words as well as hers brought the story to life.